Dr Agathe Maupin holds a PhD in Geography from the University of Bordeaux in France. 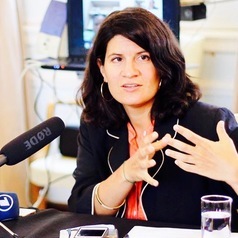 Before joining the South African Institute of International Affairs (SAIIA) in 2012, she worked as a research and teaching Assistant at the University of Bordeaux, then at the University of Paris IV-Sorbonne, where she focused on hydro-political challenges and climate change in transboundary river basins in Southern Africa. Her expertise covers the geopolitics of water and energy resources in Southern, Central and Eastern Africa, with a focus on infrastructure-led dialogues in the African power pools under Climate Change. She is also a research associate at Les Afriques dans le Monde (LAM), a French research unit in Bordeaux.